Every week I answer a question or questions that are sent in to me regarding fat burning, weight loss, diet, fitness and or the Fat X Program (FX12). This week's question was e-mailed in and it's regarding the FX program and it's effect on fat loss in the gut, love handles and chest. I am just starting the 12 day program. I am 17 years old and I am 5'8" and weigh 180 lbs. I have a gut, lovehandles, and fat around my chest if you know what I mean. I just want to know if the 12 day work out would help me get rid of these areas. It is the summer so I am completely committed to doing whatever is necessary to get rid of the fat in these areas. If the work outs do not include specific exercises to target these areas, would it be possible for you to suggest some extra exercises that would help me please? Thanks for sharing all of your wisdom for free, there are not many people like you who would be so generous. Lokin, this is a common question that tends to be asked in a variety of ways. I've answered similar questions before and have also written post on similar topics. As a brief reminder, unused energy (food/calories) are stored on your body as fat. The usual and biggest fat storage areas tend to the be what you mentioned are your problem areas, gut, love handles etc. 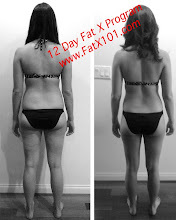 The FX 12, if followed properly, will definitely help you shed, burn, lose fat. Your genetics will dictate where it is most noticeable at first. Just to give you something to shoot for, my goal, when I train private clients is to have them lose 2 to 3 inches around their waist. I take measurement the first day, the seventh day and the last day. I haven't failed to reach my goal yet. 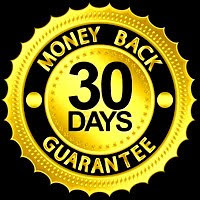 I would highly suggest you follow the program as closely as possible, so that you can reach a reasonable goal you set. The FX 12 workout guide/manual is only a few bucks, and I believe it would be a very good investment in achieving your fat loss, fat burning goals.